The Pupil's Book has stories in each unit which are designed to encourage positive attitudes in children such as helping others and sharing. 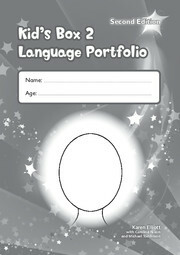 At the end of each unit children have the opportunity to make a simple 'storybook' which they can take home with them. This takes English outside the classroom, making the language more meaningful, and enables parents to be involved in the learning process.